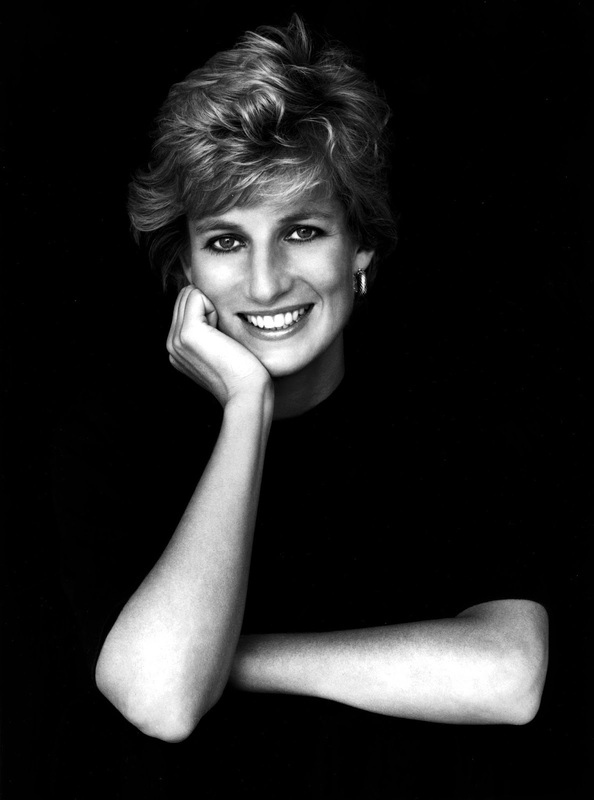 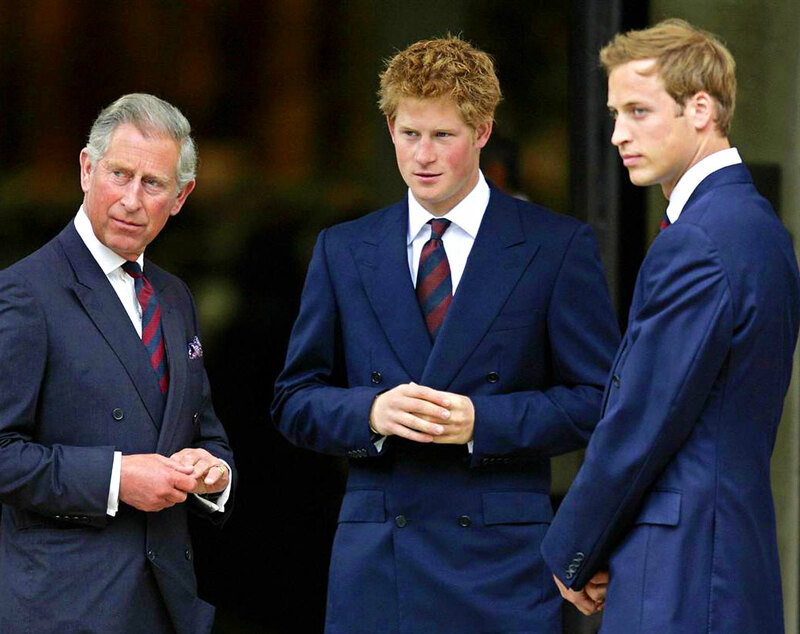 Many members of the British Royal family wear and have worn Rolex watches for a long time. 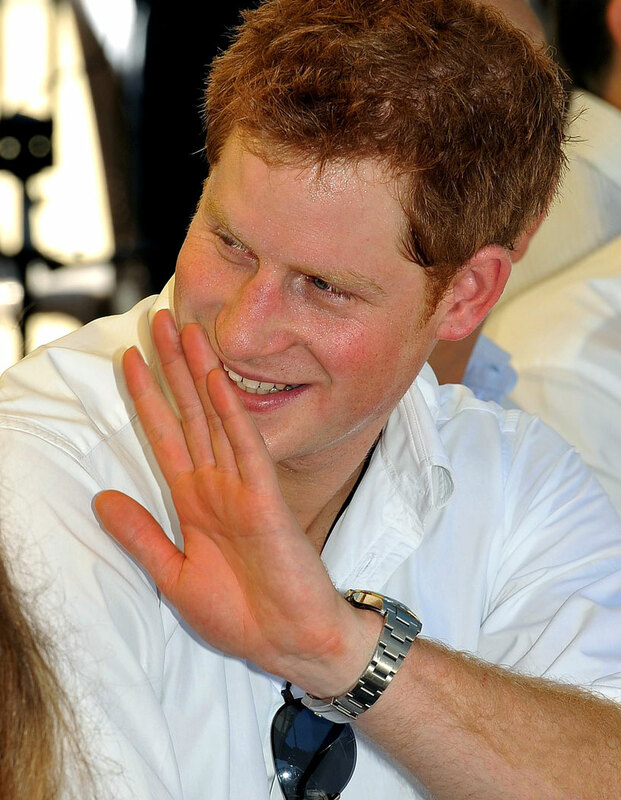 Prince Harry of Wales is fourth in line to the crown of the British Throne. 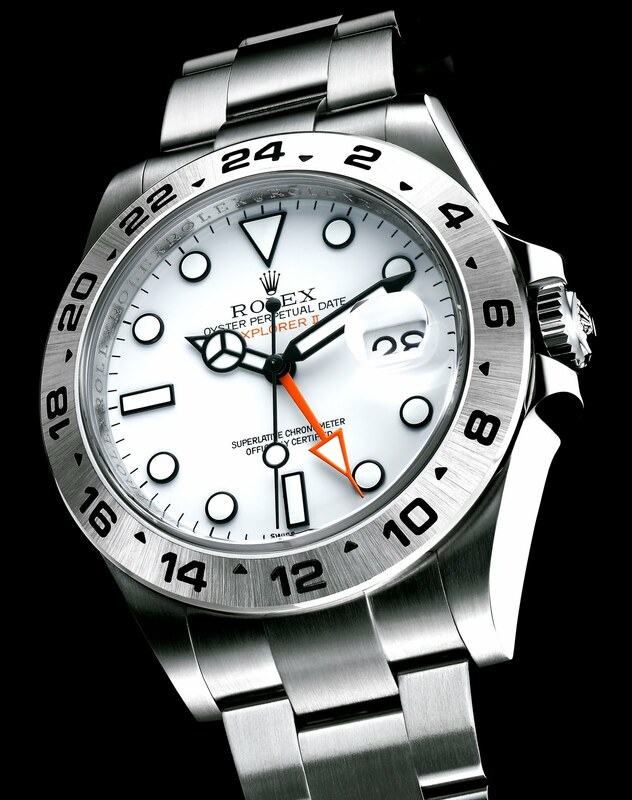 He is pictured below rockin' his stainless steel "Orange Hand" Rolex Explorer II with the polar dial. 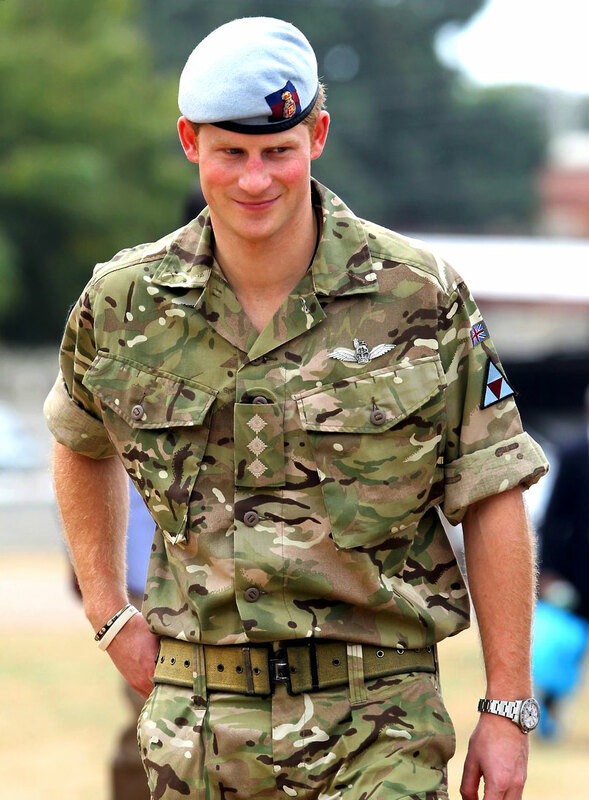 Prince Harry is 33 years old. 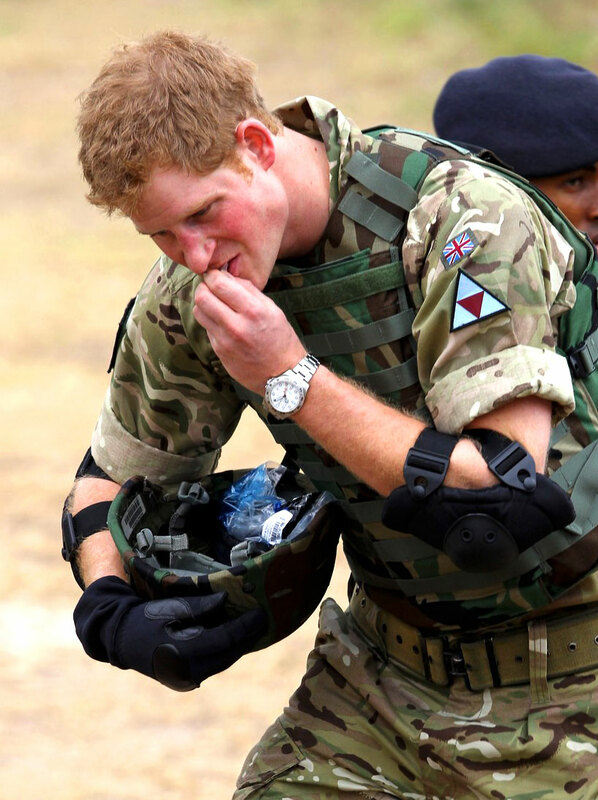 So what is Prince Harry up to today? 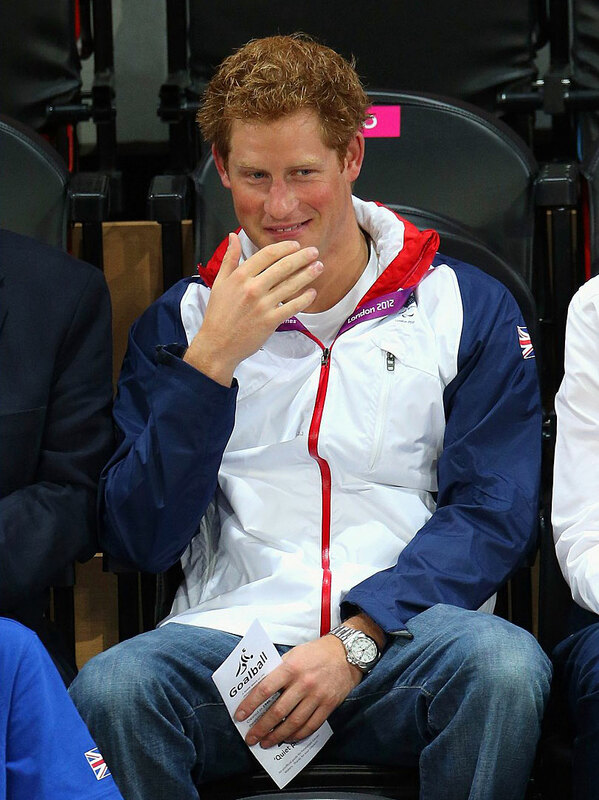 Prince Harry is a founder of the Invictus Games, which is like the Olympics for wounded soldiers. 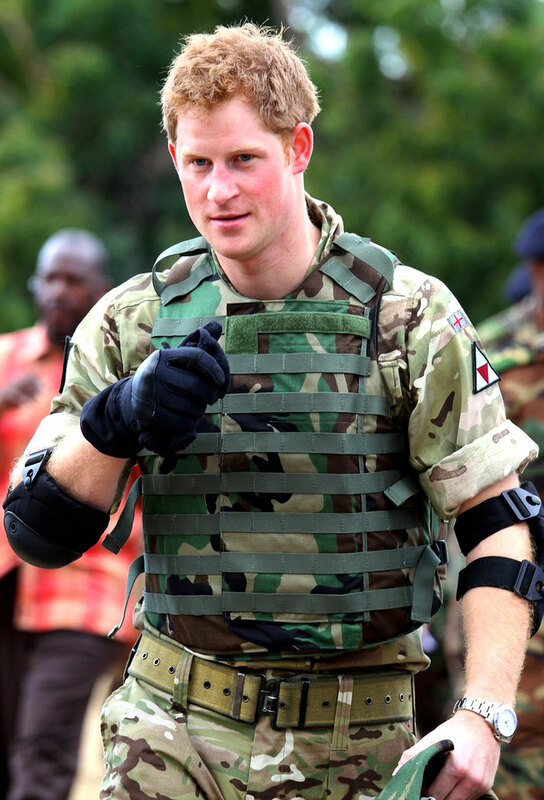 Harry being a soldier himself came up with the idea when he was return home from a tour and saw wounded soldiers. 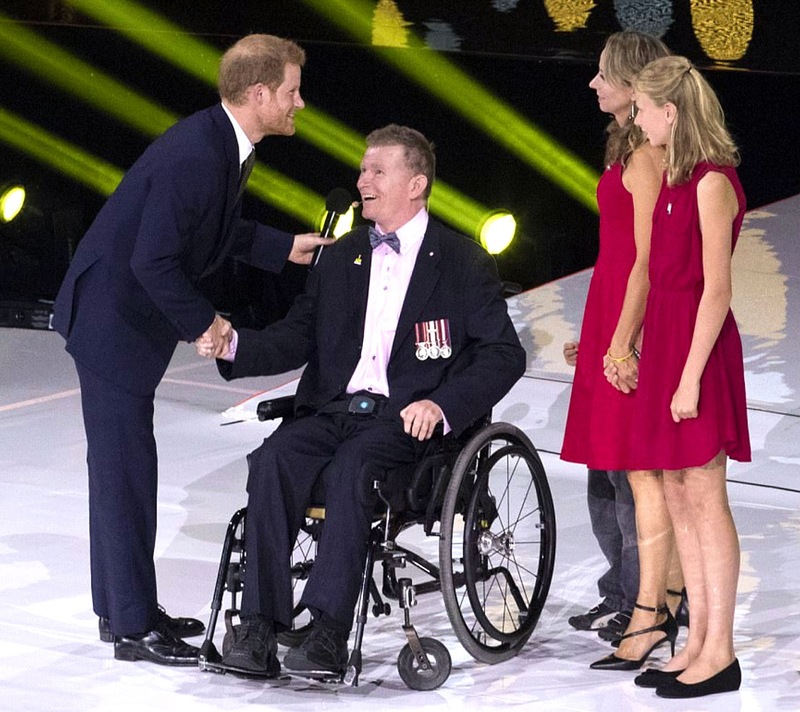 Below is the opening speech Prince Harry gave today to kick off the 2017 Invictus Games in Toronto, Canada. 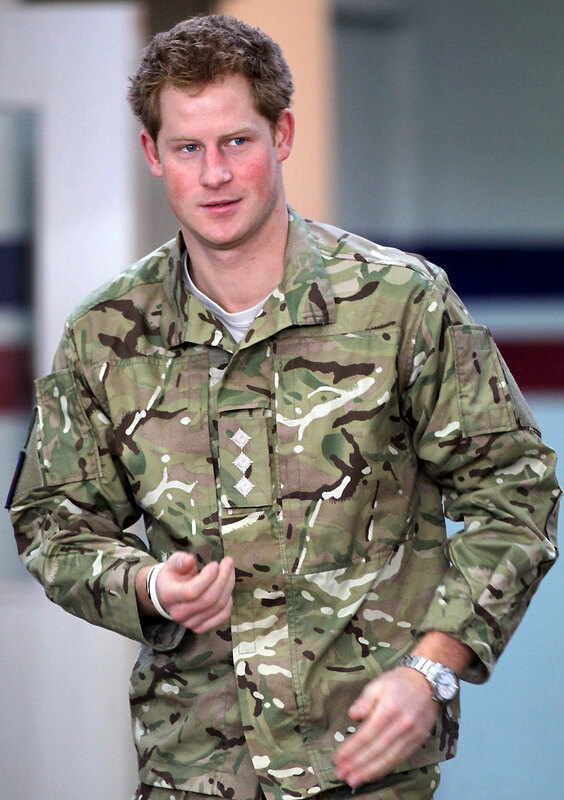 Prince Harry is pictured below shaking hands with Captain Trevor Greene, who is a retired soldier that was injured while on active duty in Afghanistan in 2006. 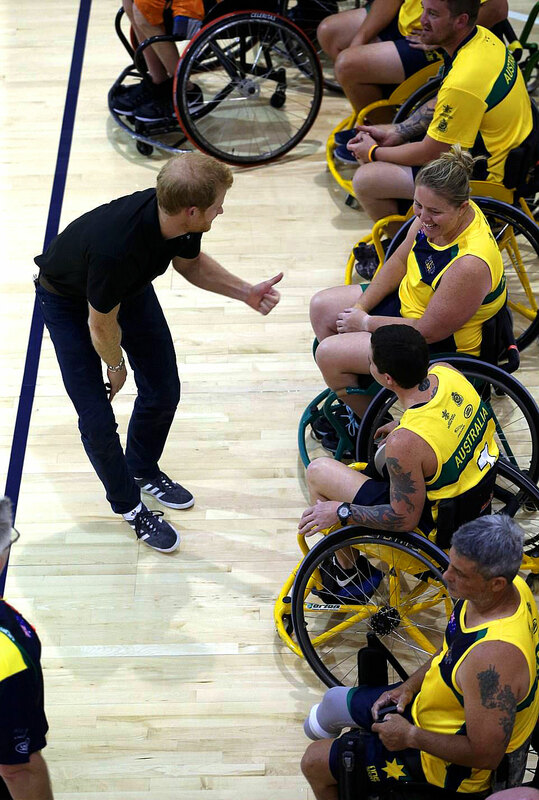 Prince Harry is pictured below with the Australian team at the Invictus Games, giving a pep talk. 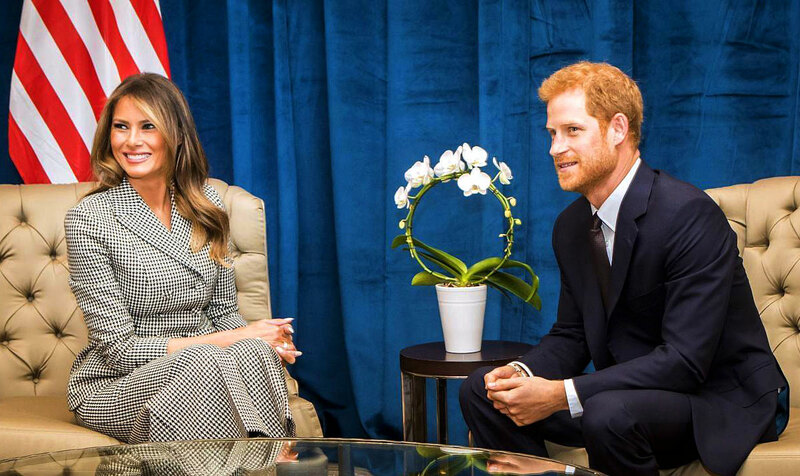 Prince Harry is pictured below yesterday ahead of the opening ceremony for the Invictus Games chatting with United States First Lady, Melania Trump. 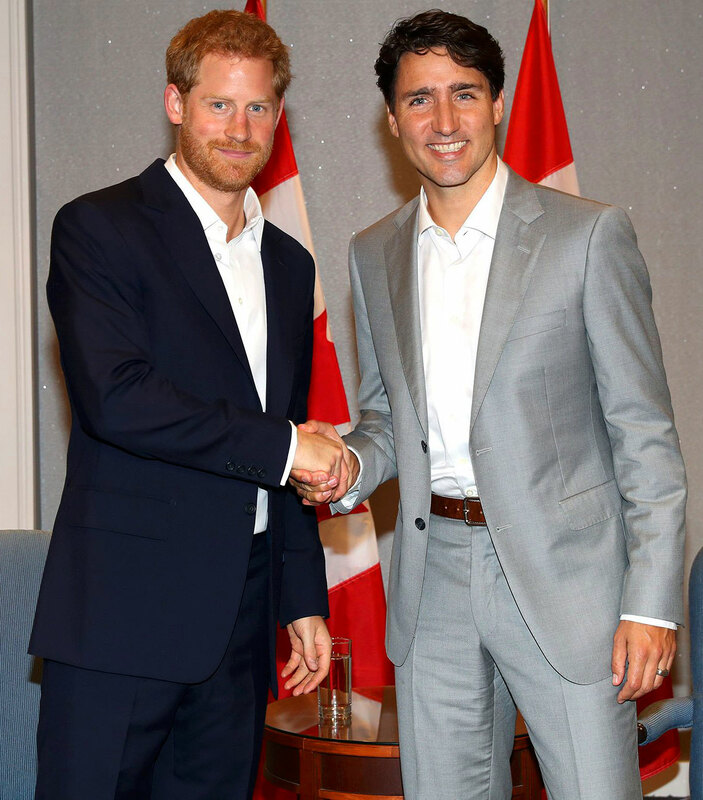 Prince Harry is pictured yesterday at the Invictus Games shaking hands with Canadian Prime Minister, Justin Trudeau. 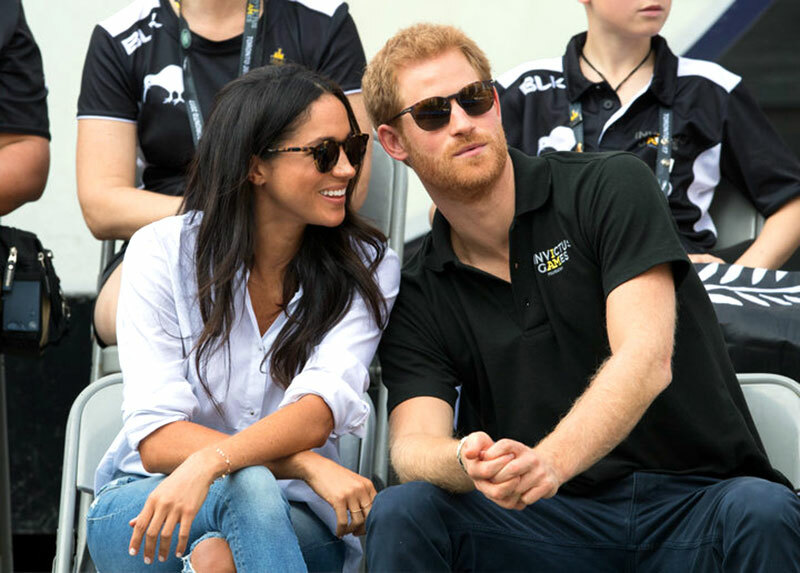 In the video below Prince Harry offers and overview of how he asked his Grandmother, The Queen to support his effort in the Invictus Games after be challenged by President Obama and The former First Lady, Michelle Obama. 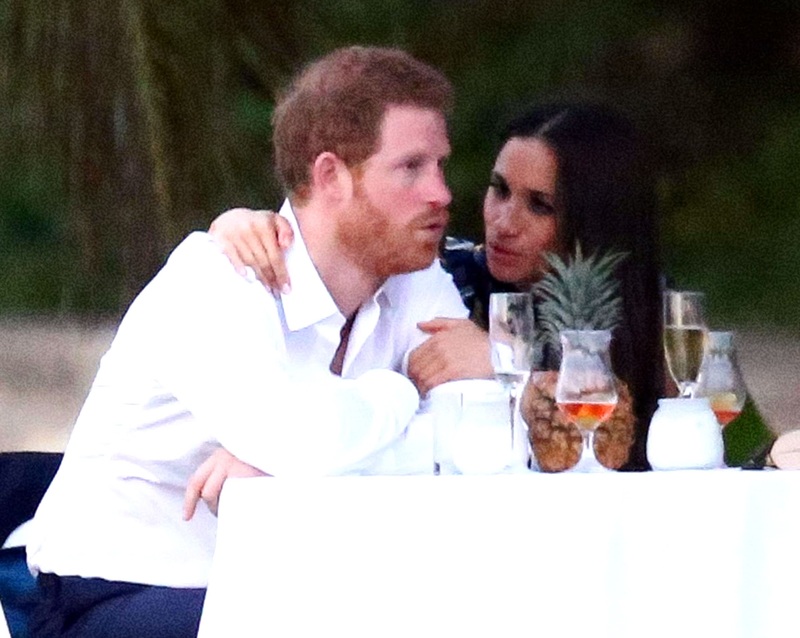 The thing many of the publications are speculating on is if Harry is going to marry Meghan Markle. 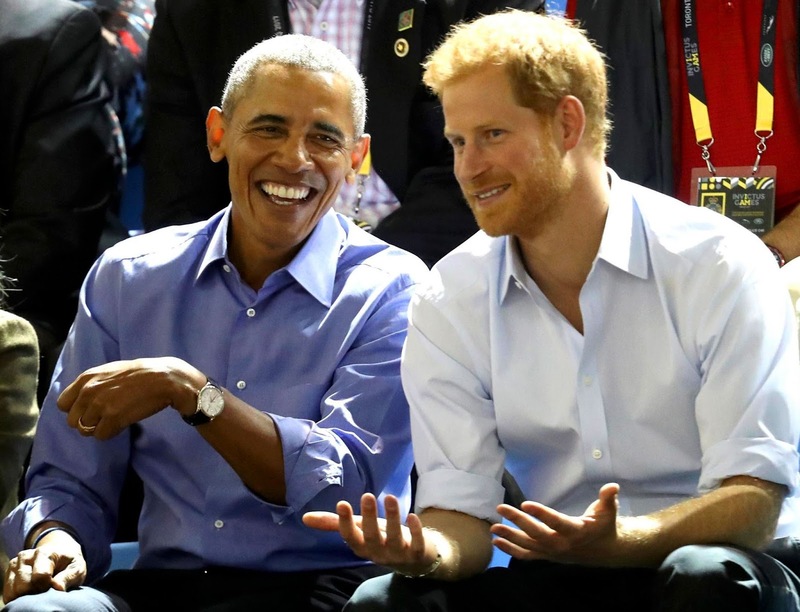 Former U.S. President Obama showed up at the 2017 Invictus Games, and he was wearing a white gold Rolex Cellini on his wrist as seen below. 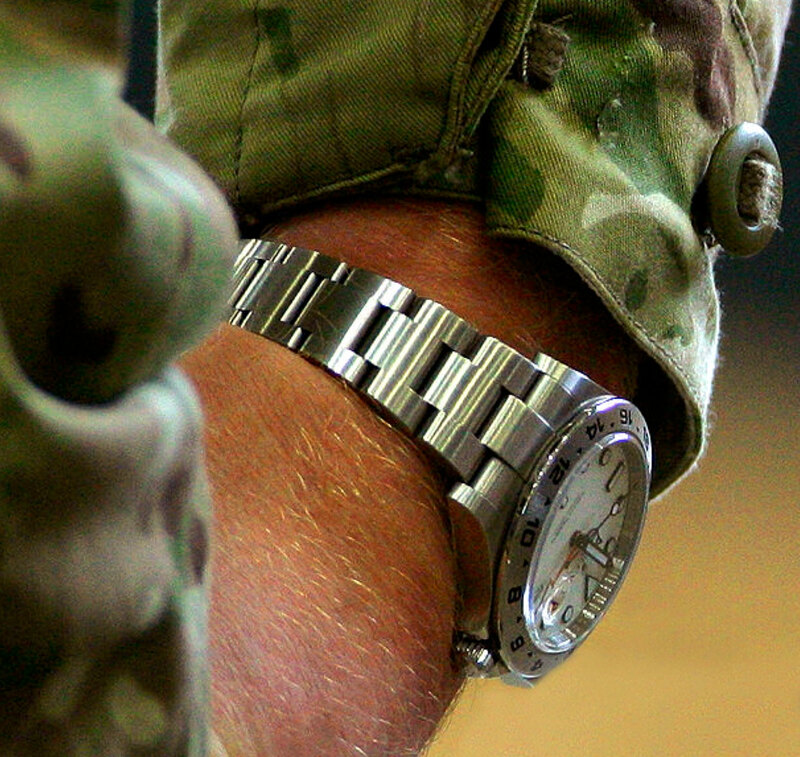 Rolex is a royal brand in many ways. 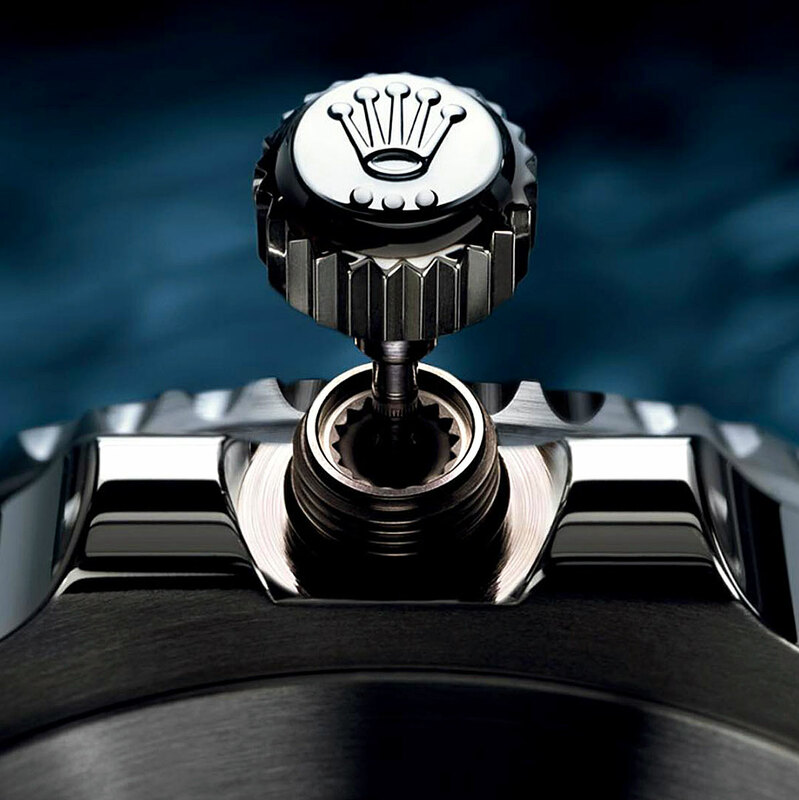 Particularly with the Rolex trademark crown logo, which adorns the dial and winding crown on every Rolex. 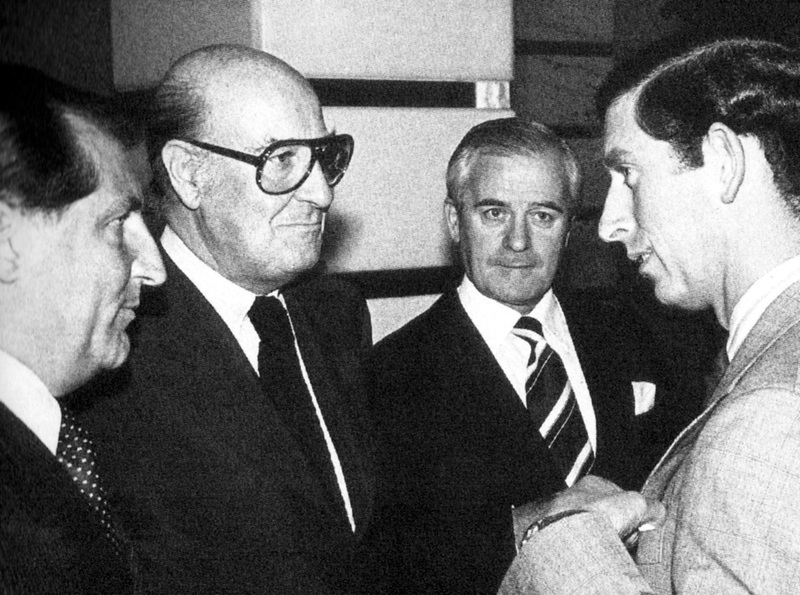 Rolex has a longstanding following amongst the British Royalty, going back to Lord Mountbatten, who is Prince Harry's great, great uncle. 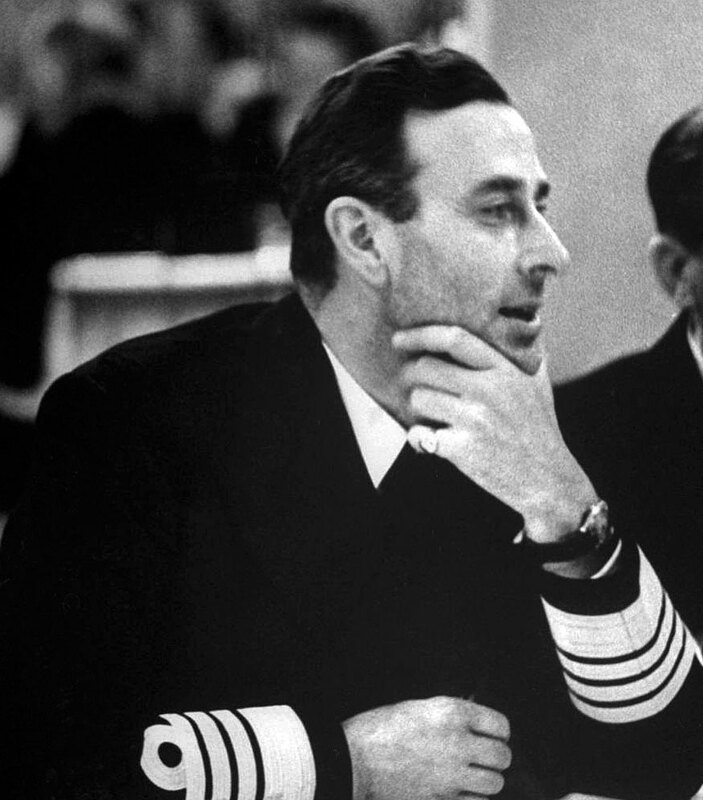 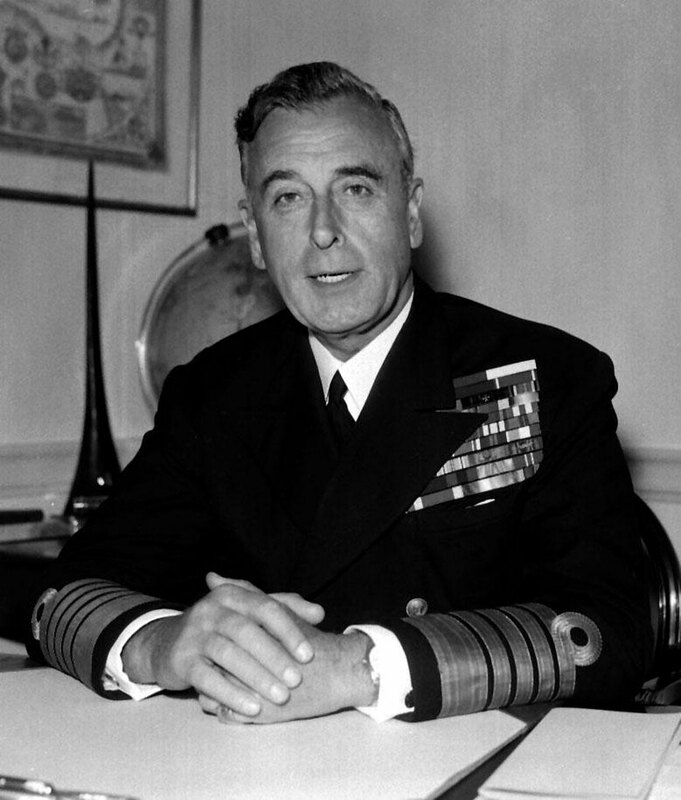 The photo of Lord Louis Mountbatten below was taken during World War II, and he is wearing his trademark Rolex Oyster Perpetual on a leather strap. 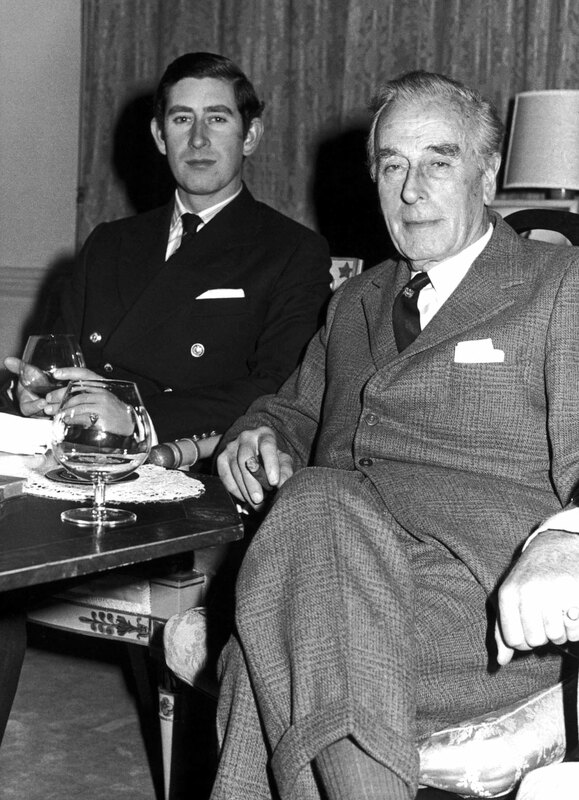 Lord Mountbatten is Prince Philip's uncle. 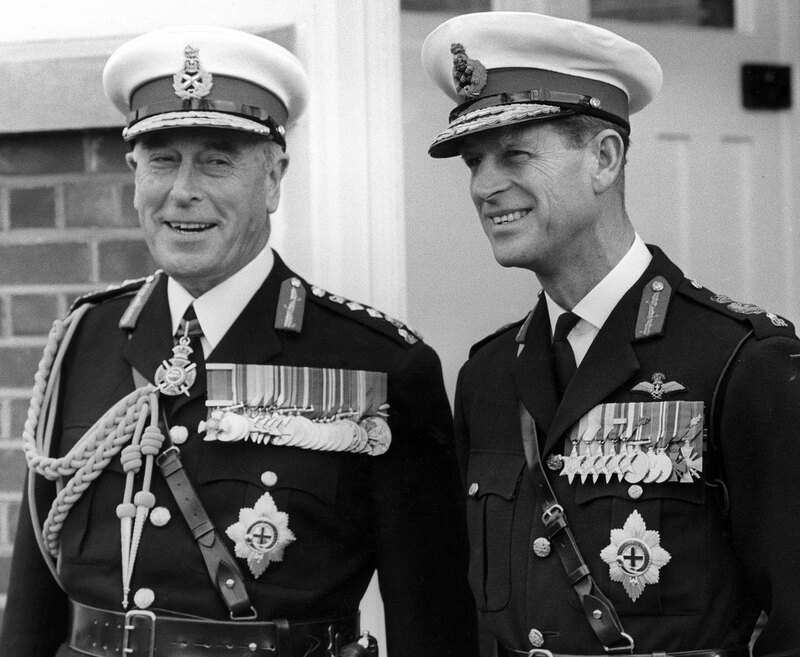 Prince Philip is married to Queen Elizabeth of Great Britain. 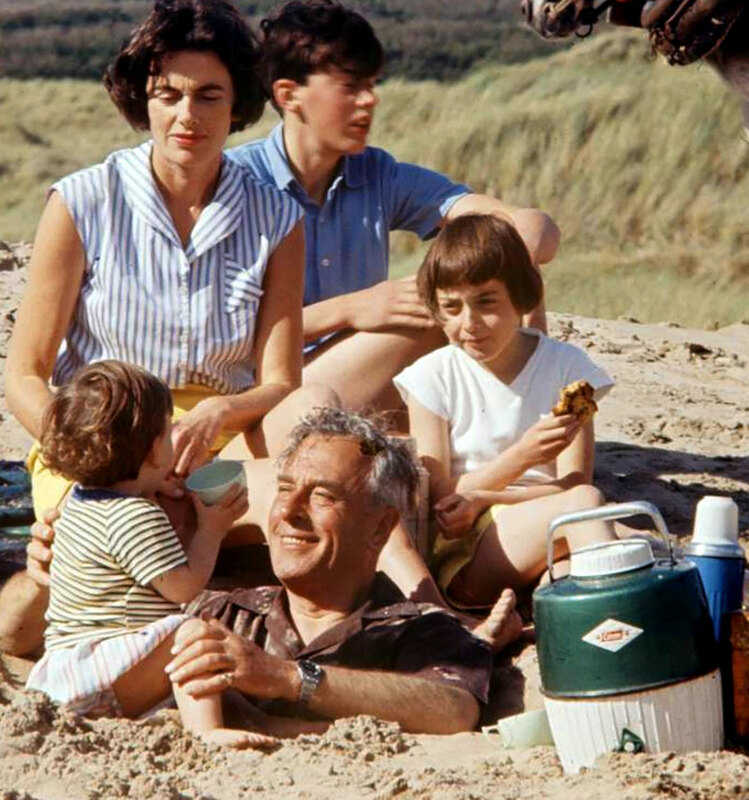 In the two photos below, we see Lord Mountbatten with his family on holiday in Scotland, and notice he is wearing a Rolex Submariner on his wrist. 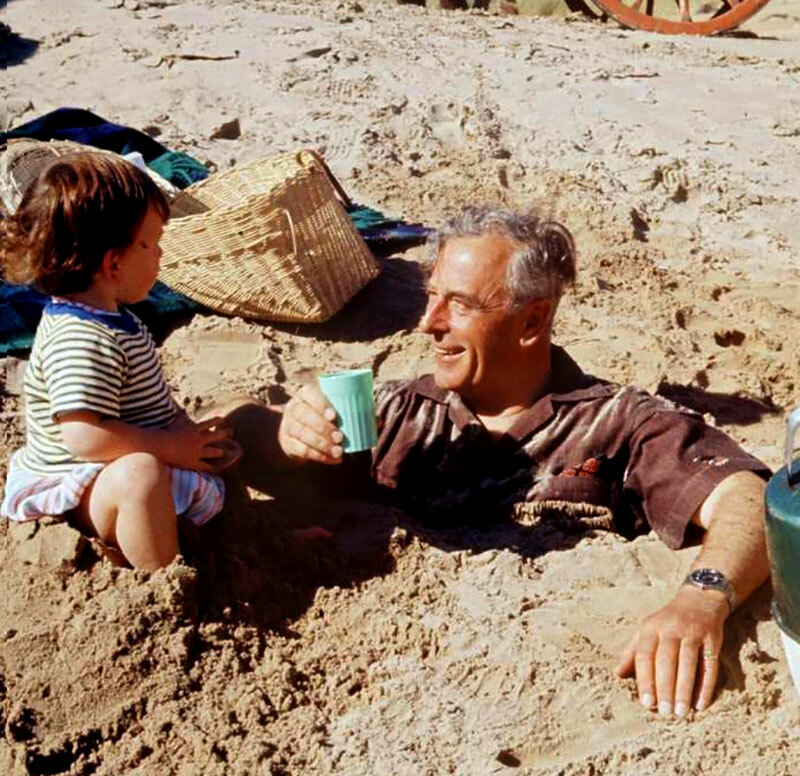 In am not certain what is going on in the photos, but I think the family buried a hole and he climbed into it, and they filled it in with sand. 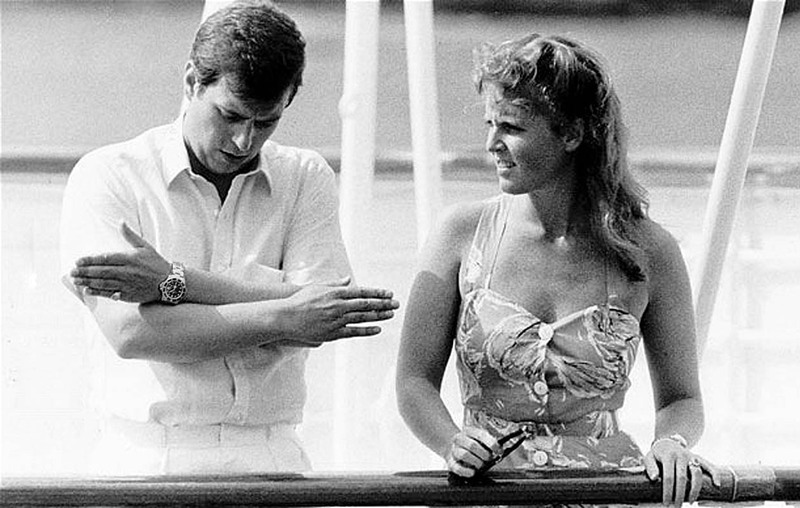 Former Rolex CEO, André Heiniger is pictured below with his wife, Odette Heiniger, Colonel Gerard Leigh and Price Charles of Wales, who is Prince Harry's father, at the Guards Polo Club in Windsor, U.K. 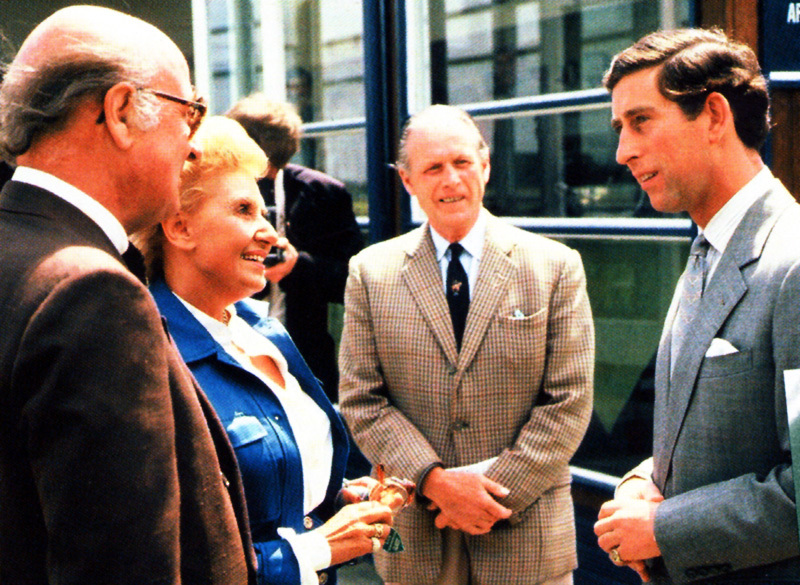 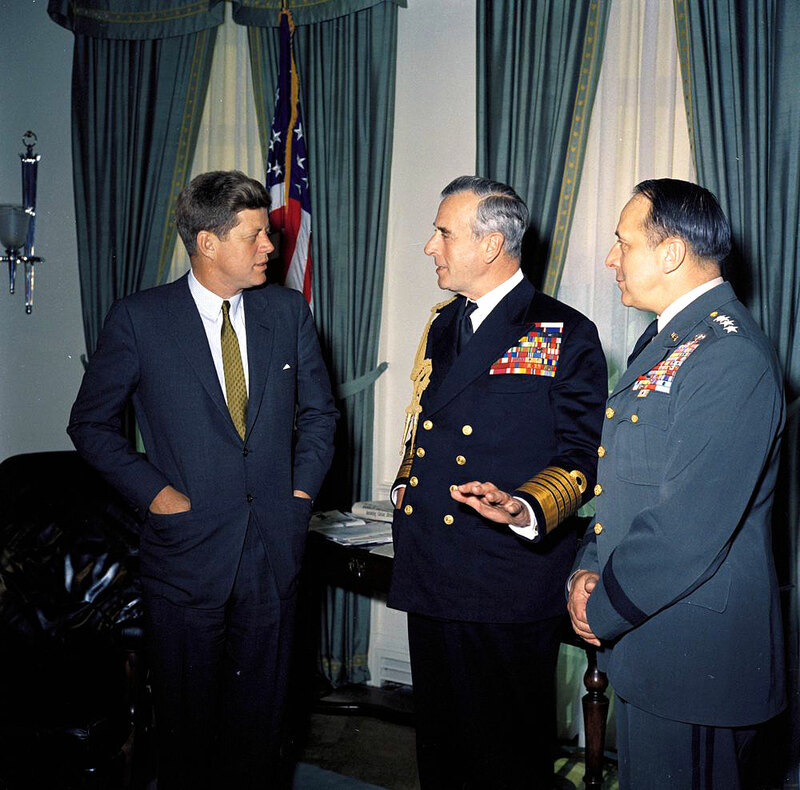 In this next photo, we see Gérard Souham, André Heiniger, Jan Nelson and Prince Charles. 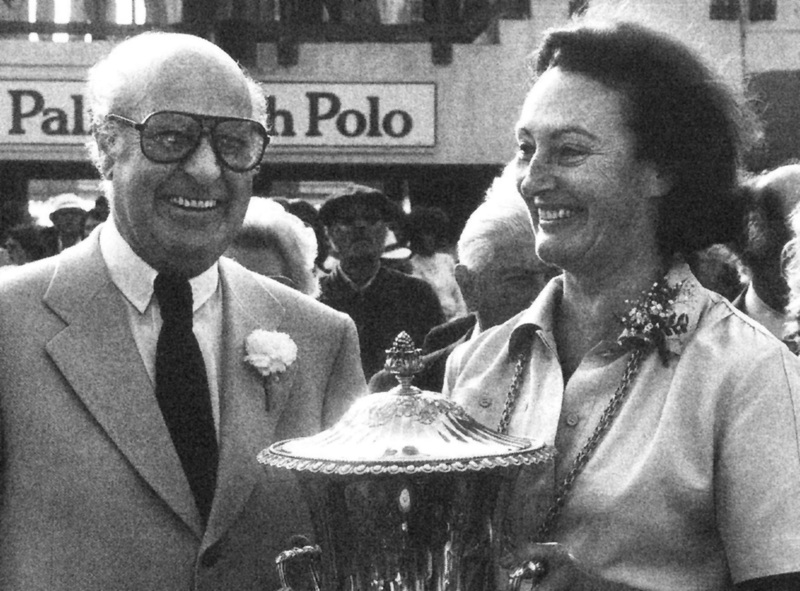 In the next image we see André Heiniger with HIH The Princess Napoleon at a Polo match. 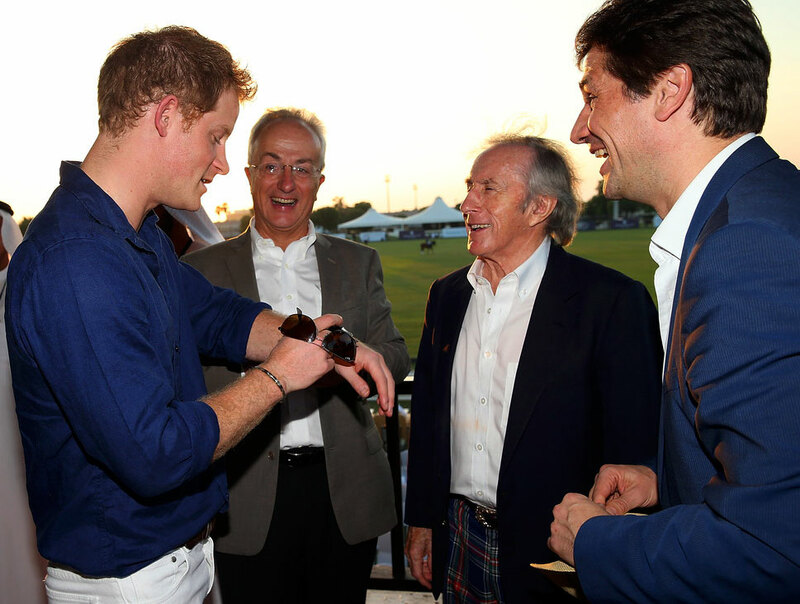 Prince Harry is pictured below at a Polo match in Sentebale with legendary car racing legend, Sir Jackie Stewart, and Rolex Director of Communications, Arnaud Boetsch. 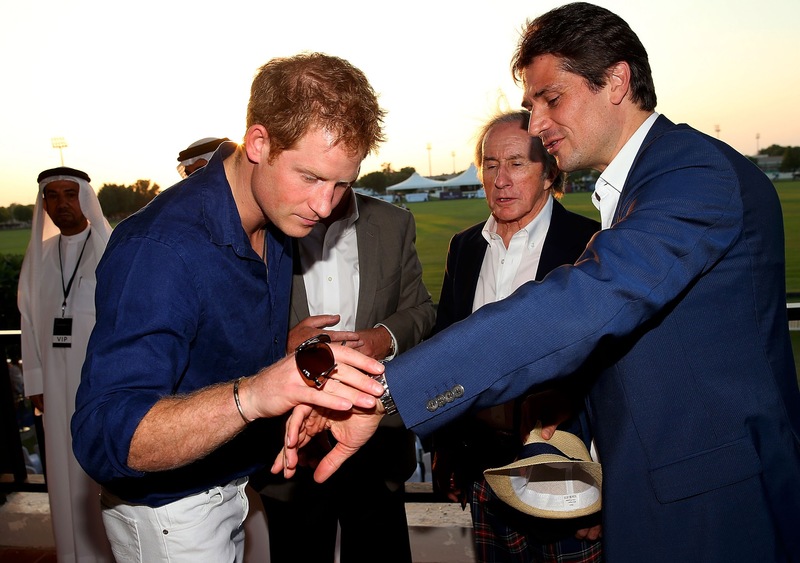 Prince Harry is obviously into watches, and in the photo below he is checking out Arnaud Boetsch's Rolex. 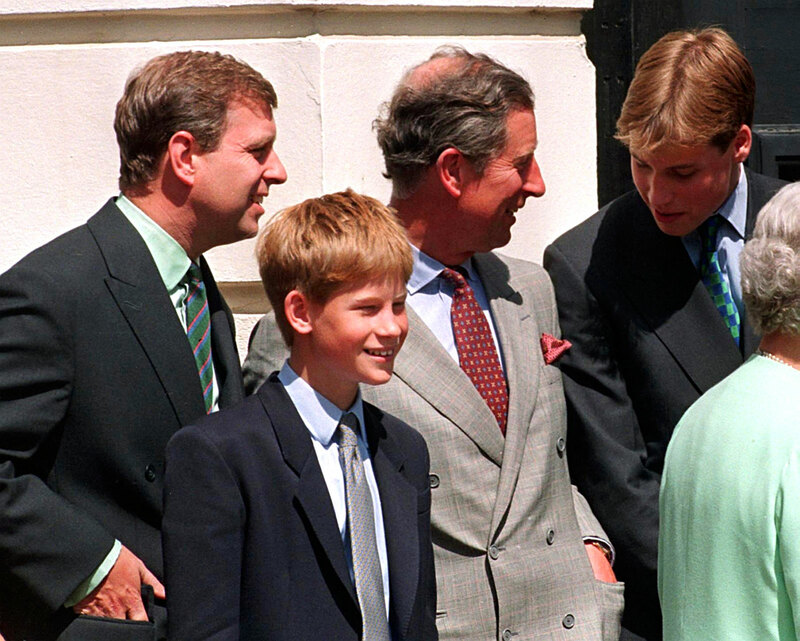 Before joining Rolex, Arnaud Boetsch was a top ranked professional tennis player. 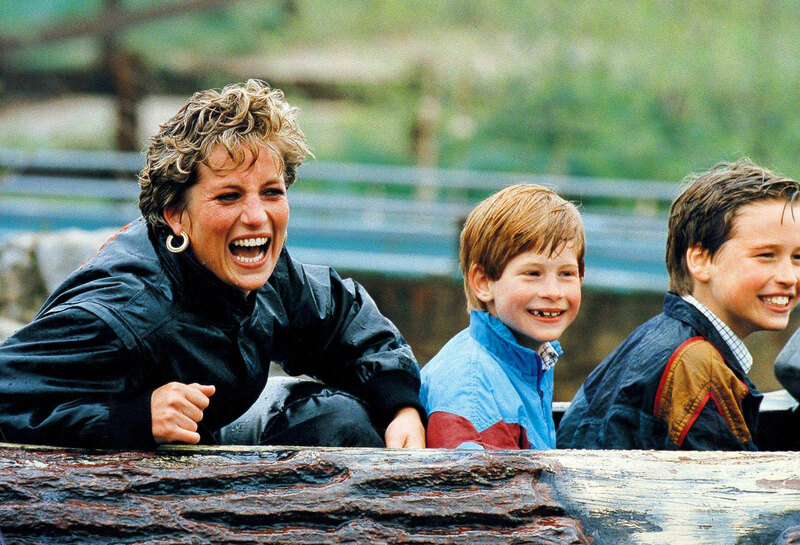 Despite having been born and raised in the United States, I recall my whole life being very aware of the British Royal Family. 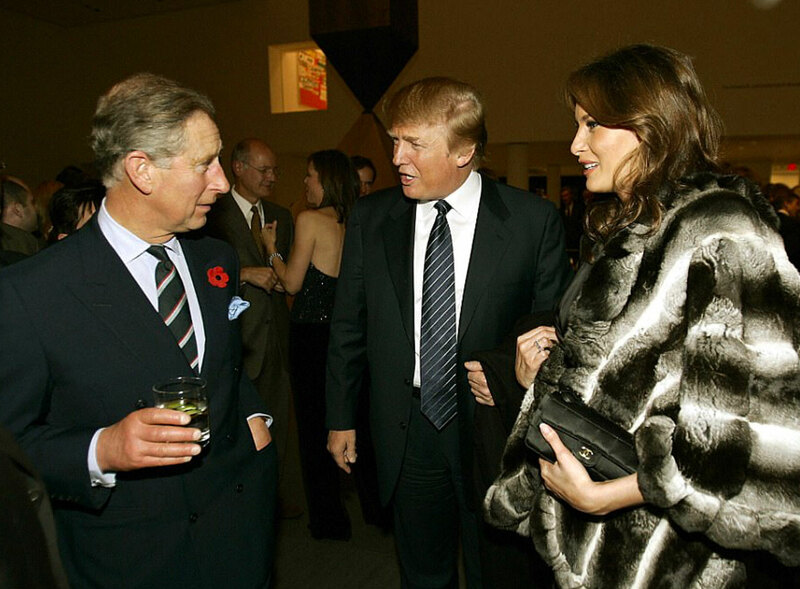 So much so, they almost feel like distant relatives. 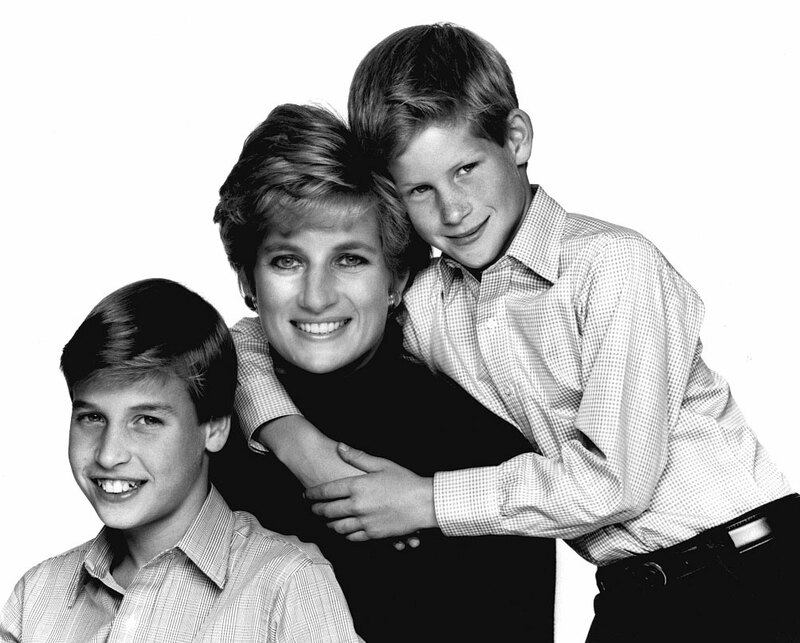 I imagine since the root of the world "Family" is "Familiar" this makes sense. 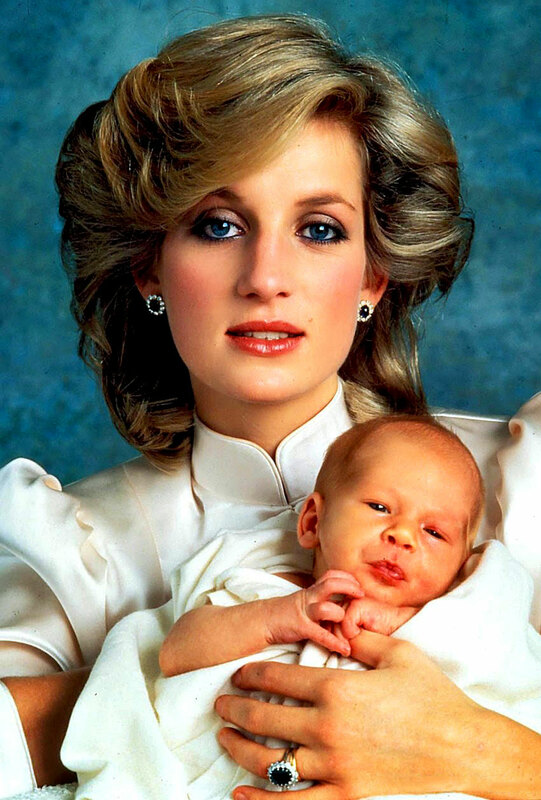 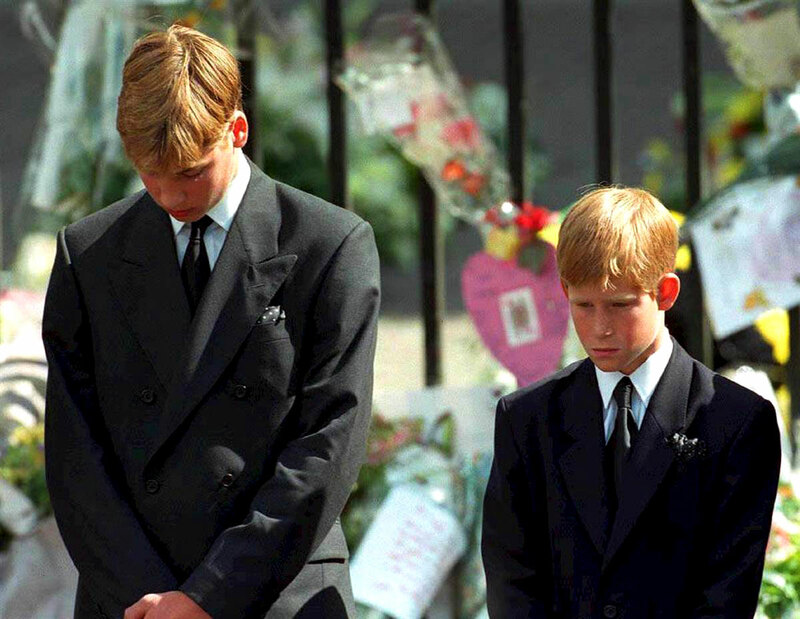 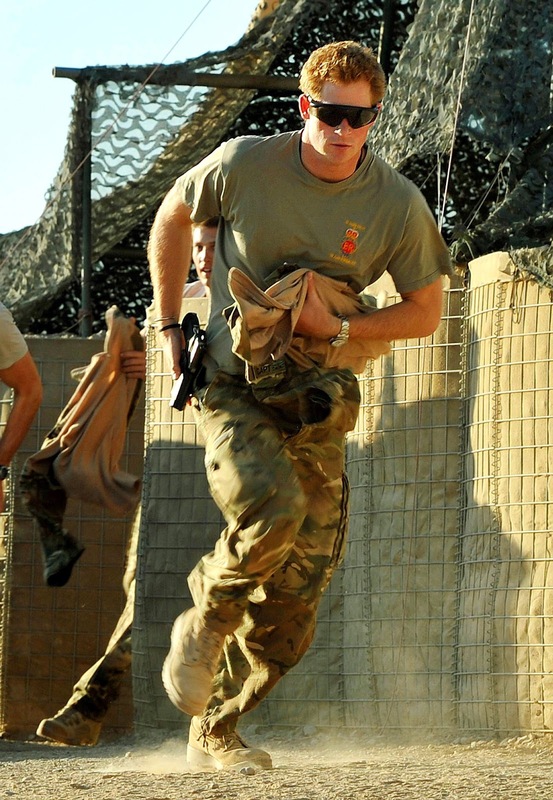 Since everybody else reading this probably feels the same way, I will let the photos tell the story of Prince Harry's life. 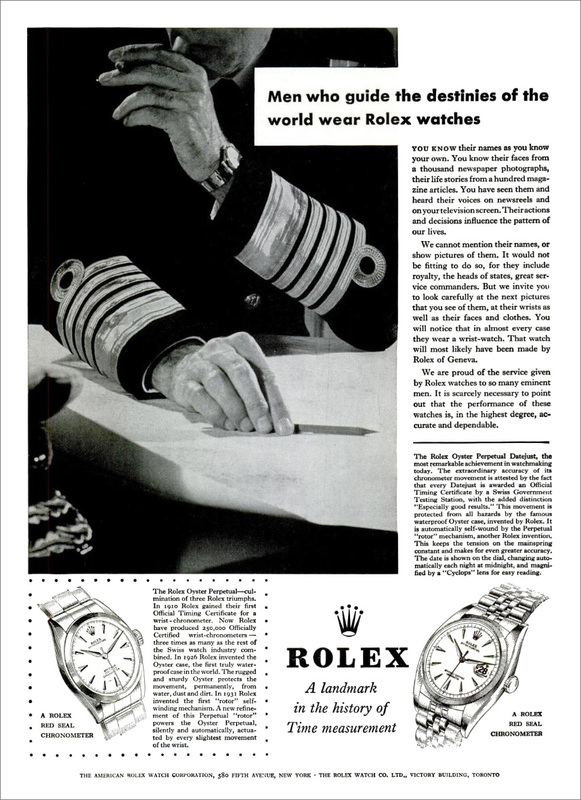 Speaking of a Rolex Prince, Rolex founder, Hans Wilsdorf was of German descent but he was an extreme anglophile, and as a result was a bit obsessed with Royalty—so much so he launched a line of Rolex watches based upon Royal names that included The Rolex Prince, Princess & Queen. 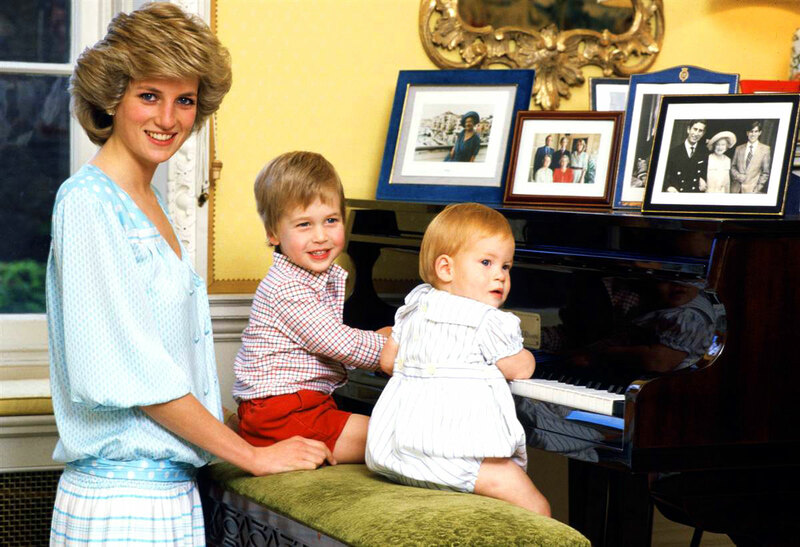 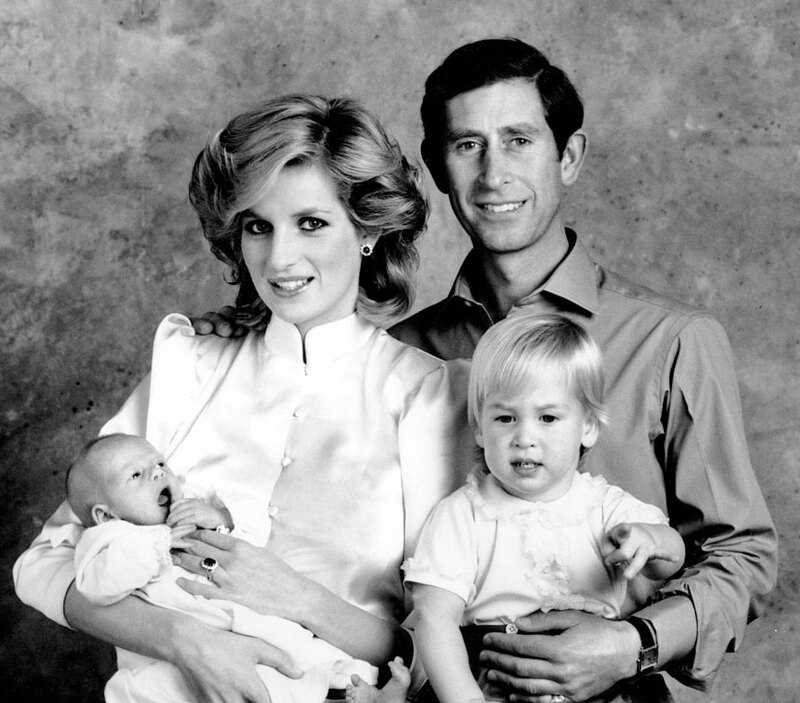 The photos above and below were taken in 1987, and show Prince Charles and Princess Diana with Prince William and Prince Harry. 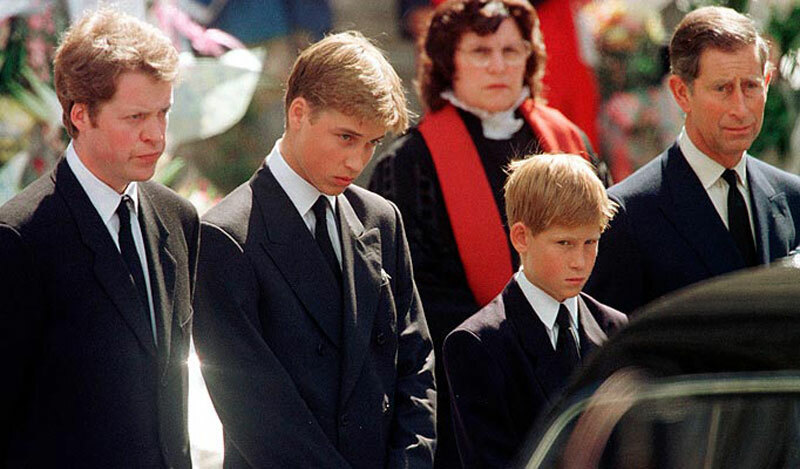 Prince Harry is pictured below with his brother, Prince William on the far left, and soccer legend, and Tudor Brand Ambassador and overall Rolex fanatic, David Beckham is standing between them. 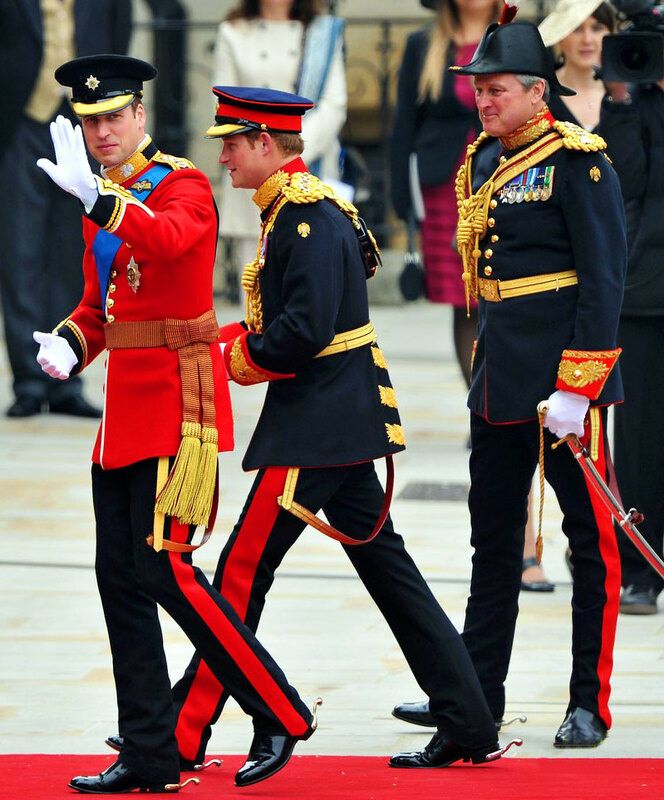 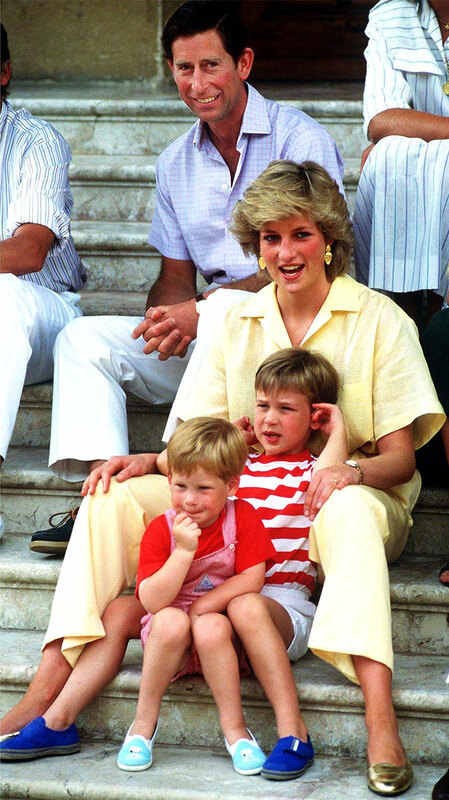 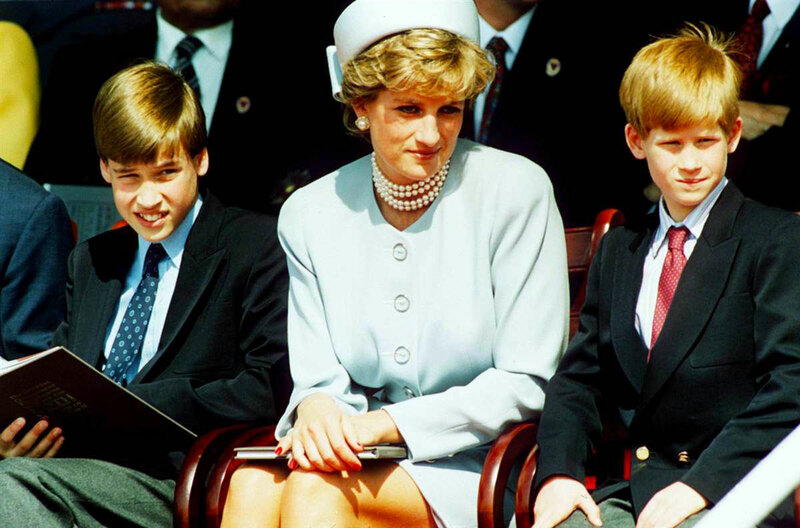 Prince Harry is pictured below with his brother, Prince William and Princess Kate, and they are attending the Diamond Jubilee Concert. 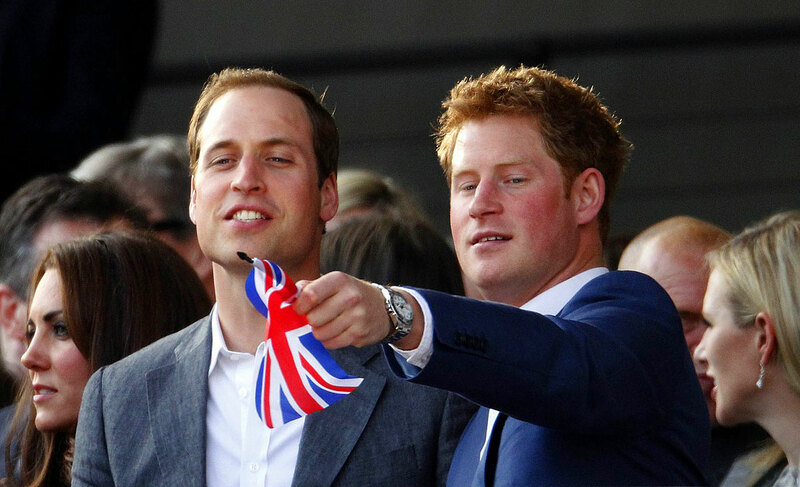 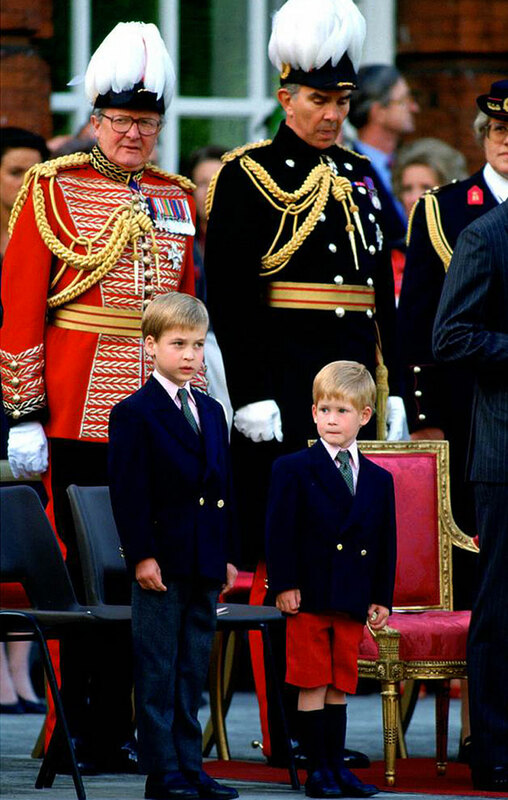 Harry is wearing his Rolex Explorer, and William is wearing the only watch I have ever seen him wear, which is an Omega Sea-Master his mother, Princess Diana gave him as a gift when he was a young man. 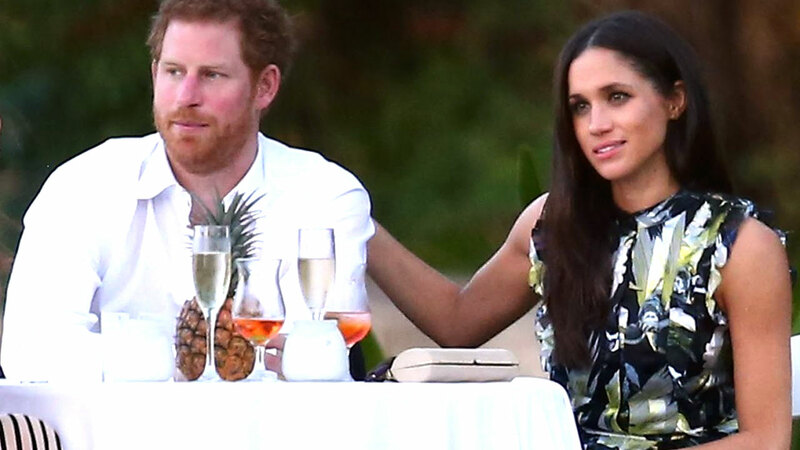 In the photo above, on the right of Prince Harry we see his cousin, Zara Philipps-Tindal, who is also a Rolex Brand Ambassador. 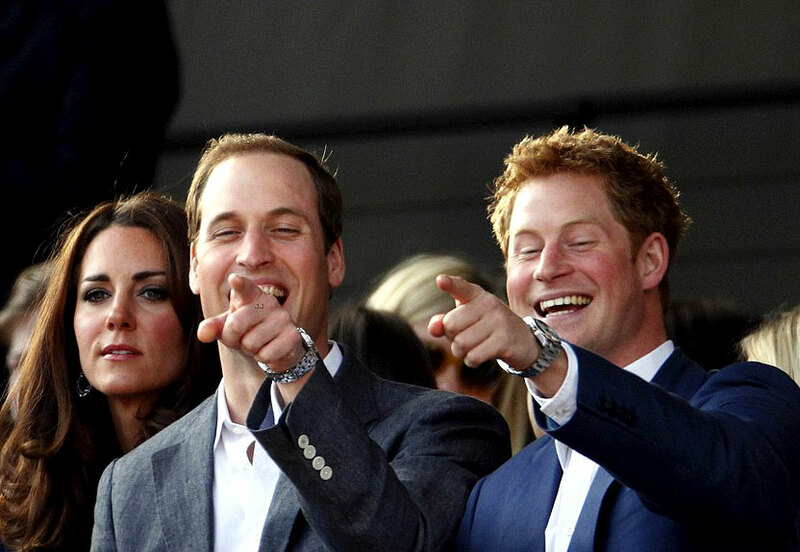 Zara is also pictured below wearing a yellow gold Rolex. 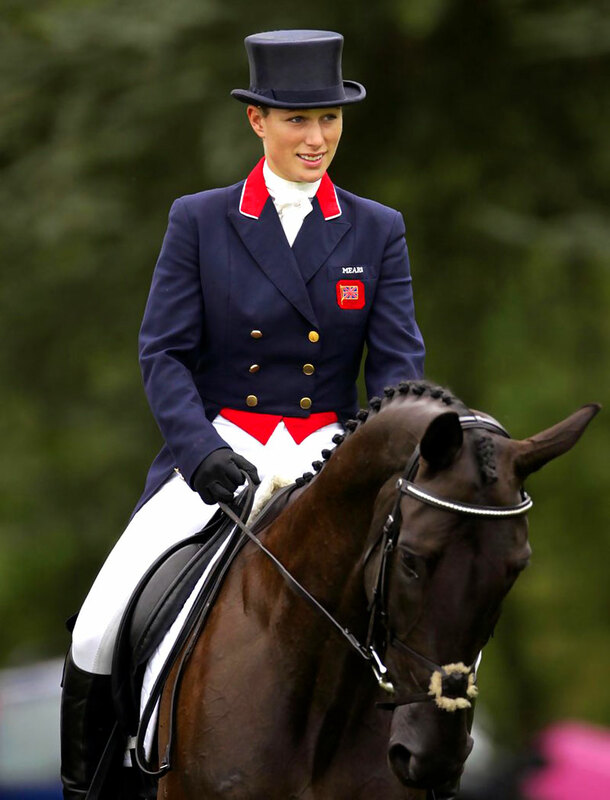 Zara Phillips-Tindal is an accomplished Equestrian and we see her below on her horse at a competitive event. 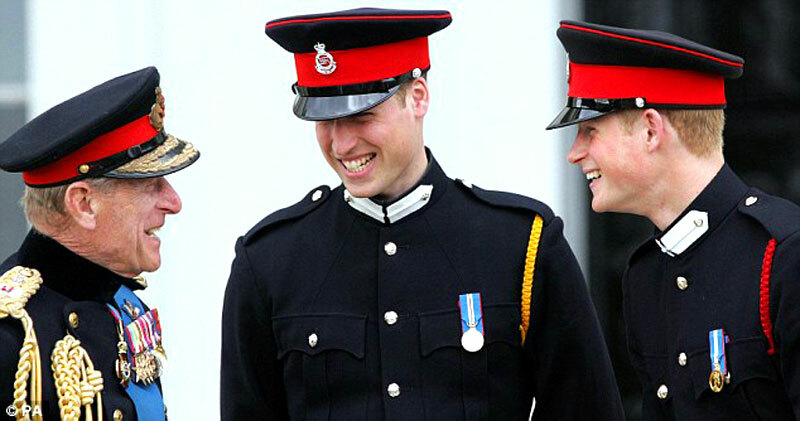 Zara Phillips has been a Rolex Brand Ambassador for about a decade now. 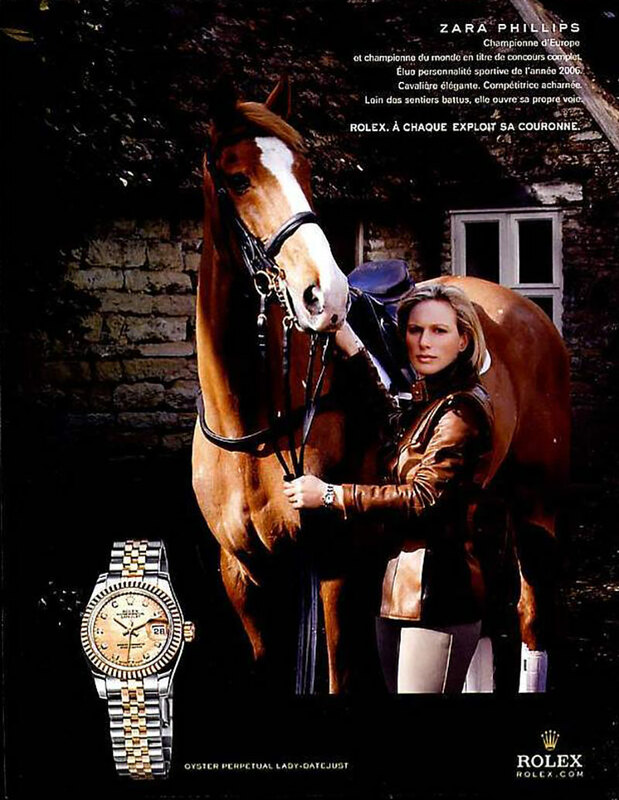 The Zara Phillips Rolex ad below is from 2008. 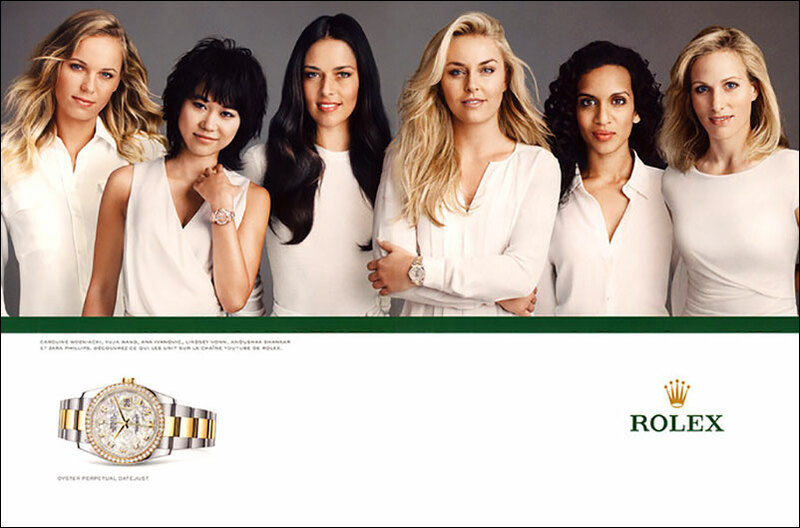 Zara Phillips is pictured below with fellow Rolex Brand Ambassador, Ana Ivanovic in a recent Rolex Magazine ad. 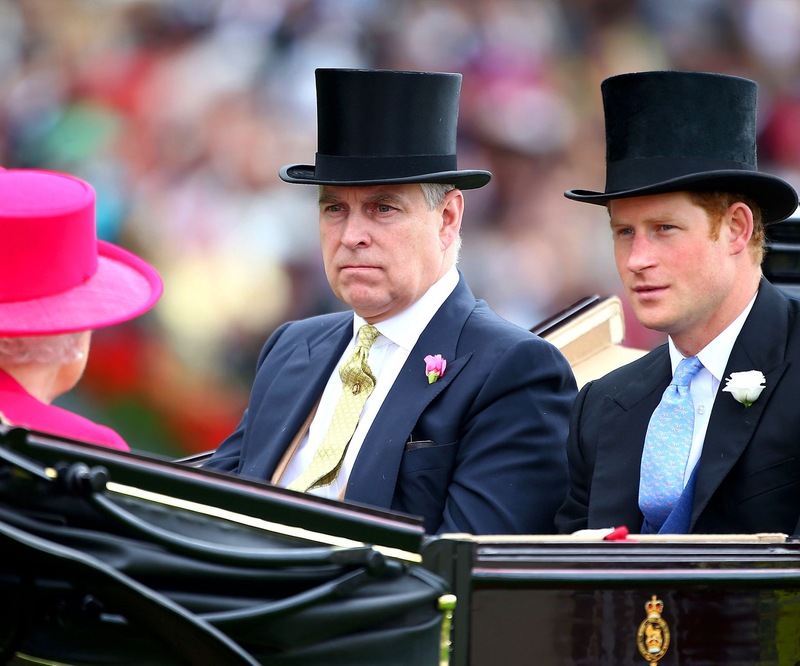 Zara Phillips is seen below on the far right side with five other female Rolex brand Ambassadors. 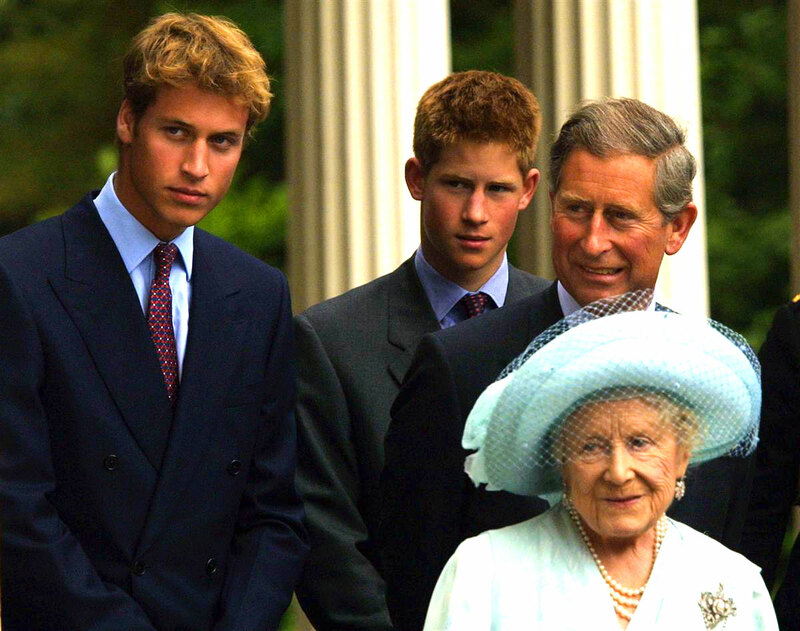 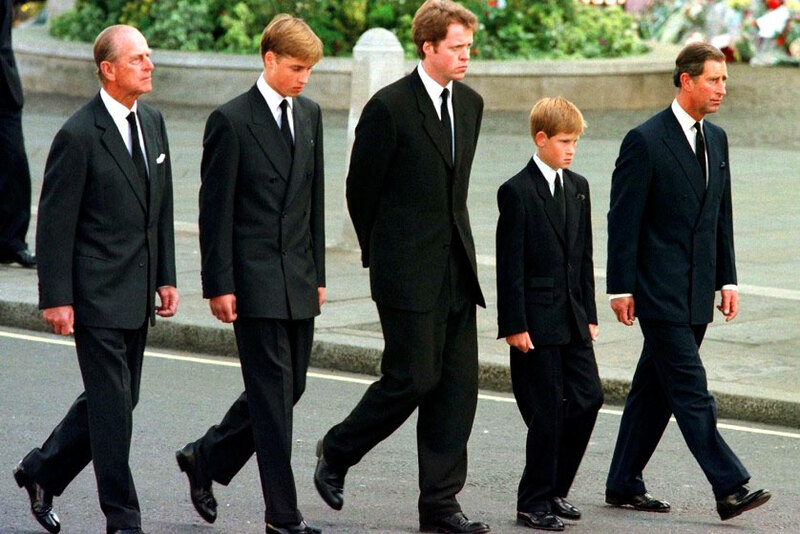 Prince Harry's uncle, Prince Andrew of York, is pictured above with Harry and The Queen, as well as below on the far left, next to Prince Harry, Prince Charles, and Prince William. 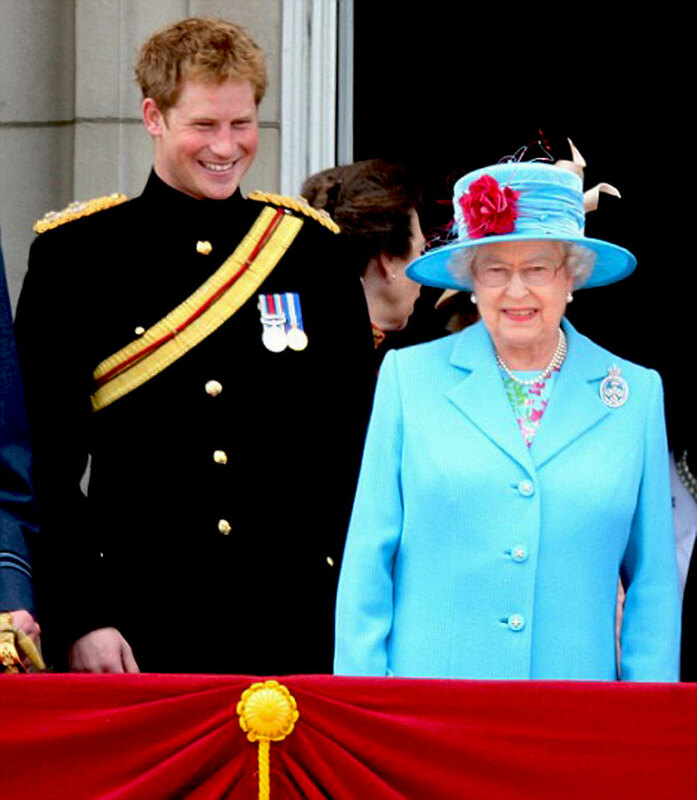 Queen Elizabeth in on the right, just out of sight. 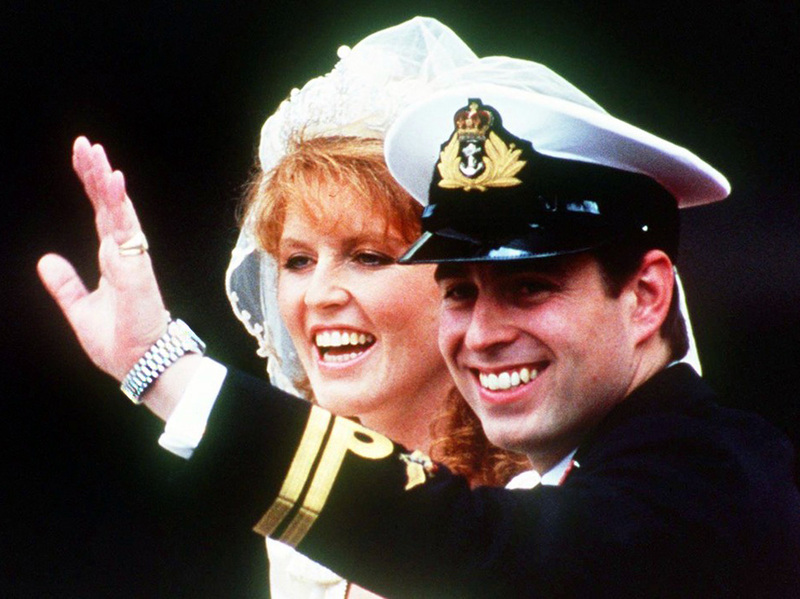 Prince Andrew has worn Rolex watches his whole life, begining with a Rolex Submariner which is seen below in the photo of him with his then fiancé Sarah Ferguson wig us wearing a two-tone Rolex Ladies Datejust. 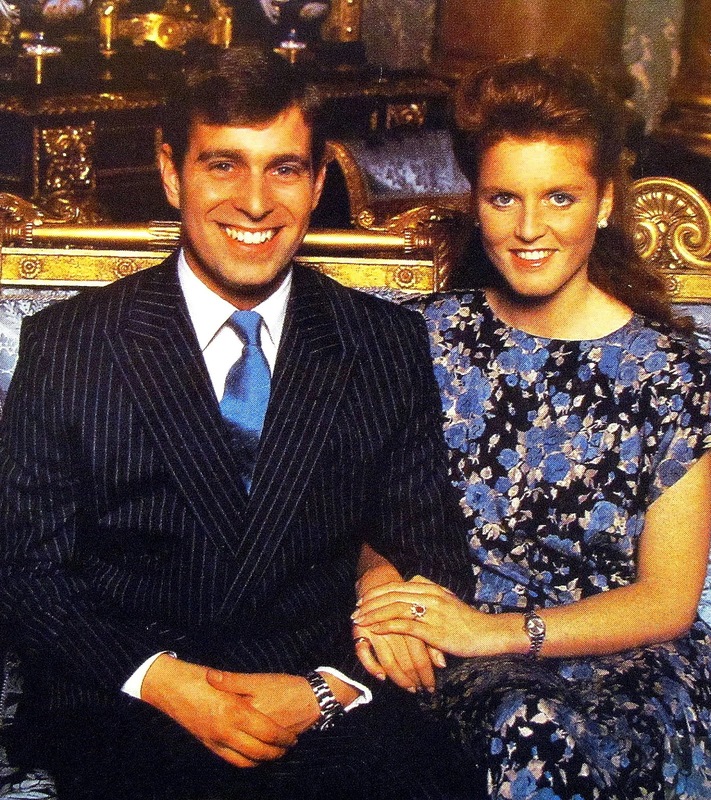 When Prince Andrew wed Princess Sarah, he showed up on their wedding day wearing a platinum Rolex Day-Date as seen below. 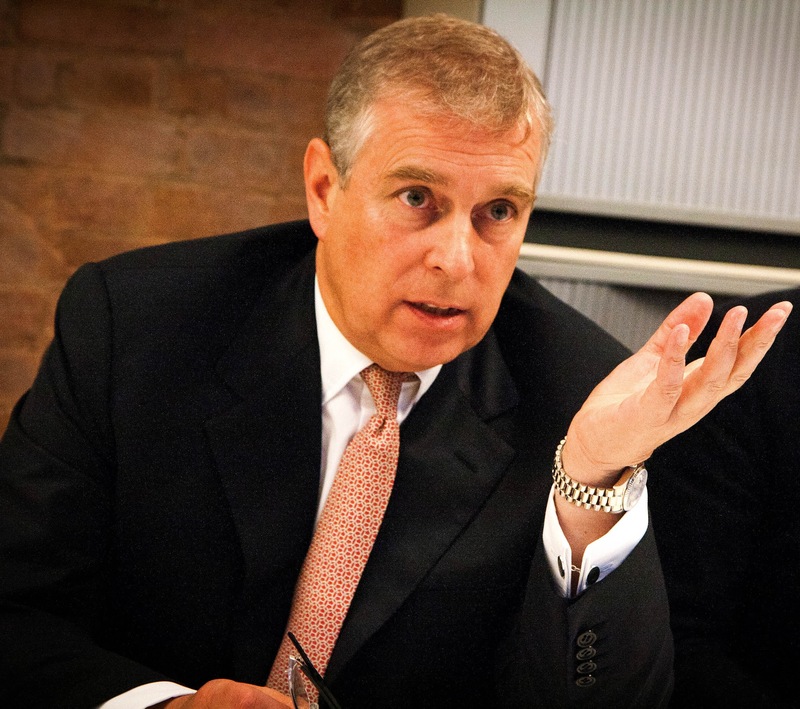 More than a quarter-century later, Prince Andrew is still wearing his Platinum Rolex Day-Date as pictured below. 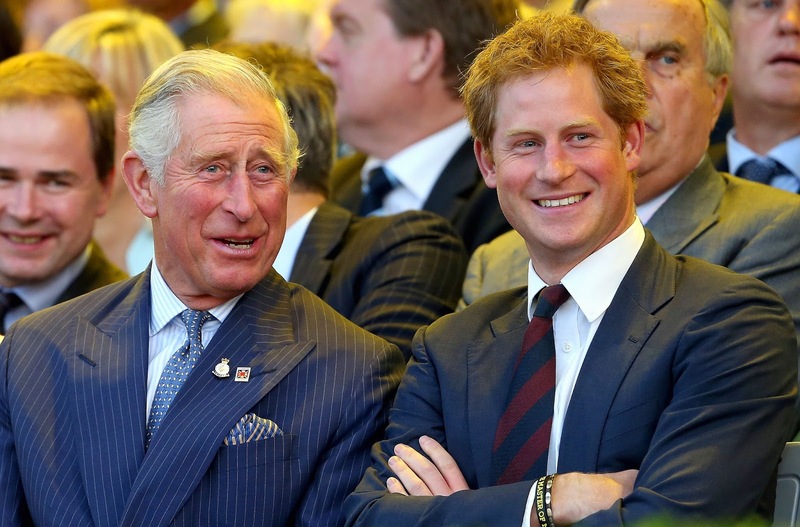 Prince Harry is pictured below with his father, Prince Charles who he seems to get along well with. 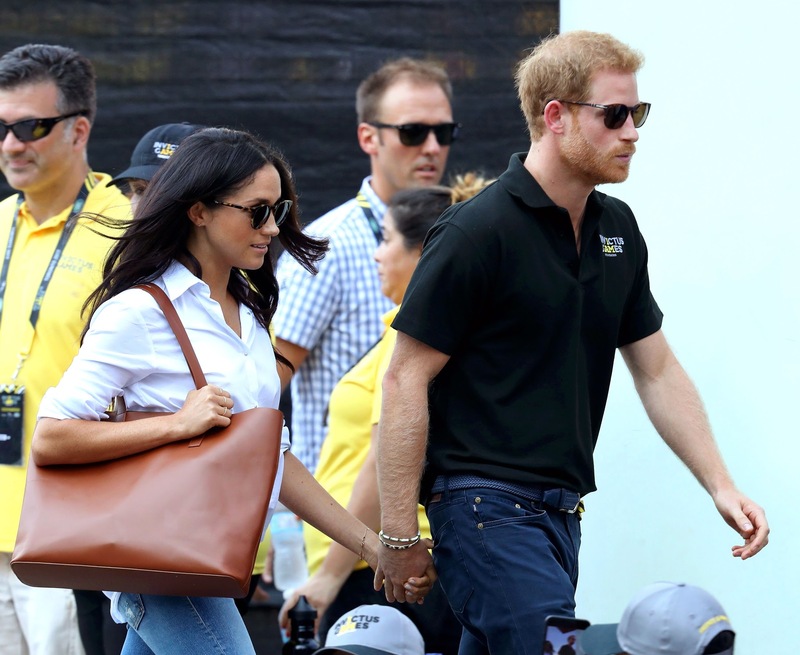 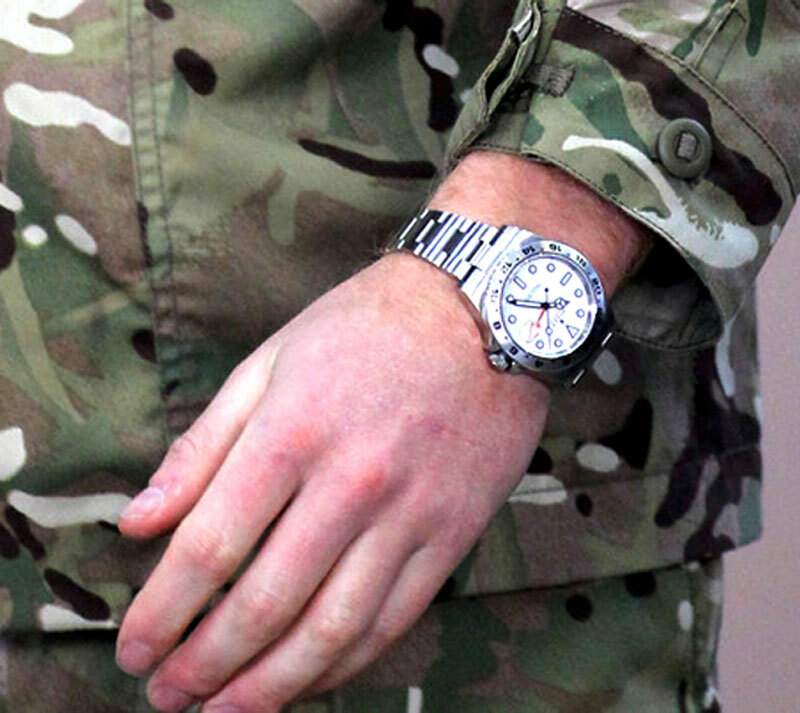 In the following photos be see Prince Harry on active military duty, wearing his stainless steel Rolex Explorer. 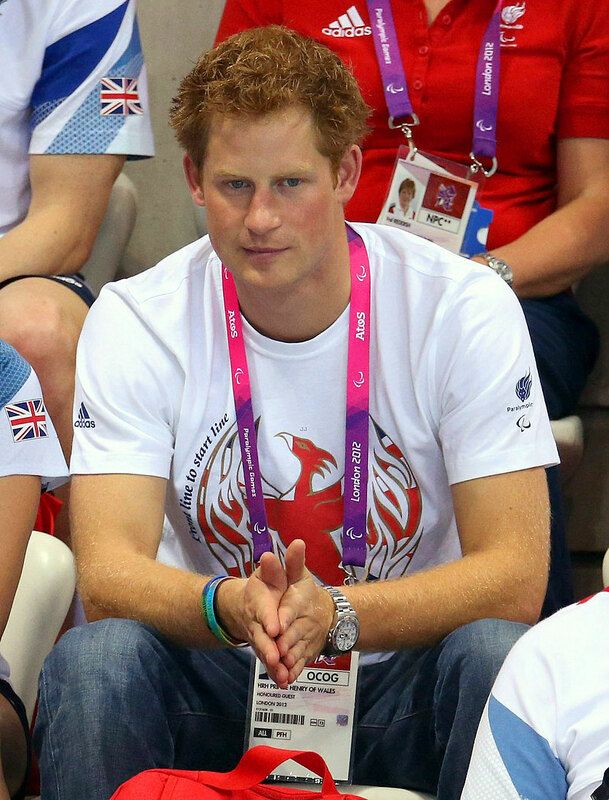 Below we see a photos of Prince Harry of Wales as a spectator at the 2014 paralmpics swimming meet, and he is wearing a modern Rolex Explorer Orange Hand, which in my opinion is the coolest contemporary Rolex made today.